Sengled Pulse review: You got your speaker in my lightbulb! Forget ceiling-mounted speakers and smart LED bulbs; Sony's latest invention rolls them into a single device. The LED Light Bulb Speaker (via The Verge) takes a 360-lumen screw-in bulb and slaps a 2-watt, 40mm speaker on top. Users can screw in the bulb with no additional wiring needed, and control the lighting and sound over Bluetooth with apps for iOS or Android. A puck-shaped remote control is also included. Sony says the unique design of the speaker doesn't block the light from the bulb behind it. Instead, the light appears to reflect off the speaker, spreading outwards in all directions. 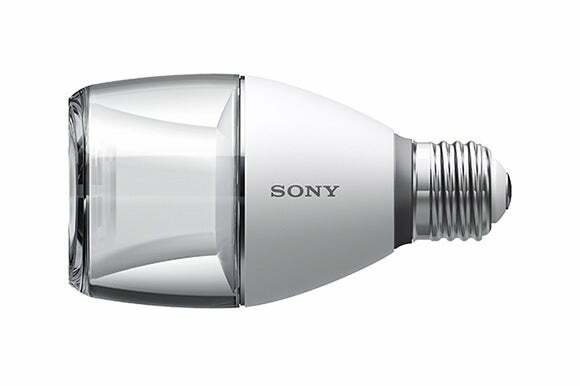 Sony is asking roughly $199 for the bulb in Japan, though it's unclear how long the bulb will last, and what users will do when it burns out. Sony's press release and product page make no mention of being able to replace just the bulb segment. Sound quality is another concern, as it doesn't look like you can pair two bulbs together for stereo audio. The bulb is set to launch on May 23 in Japan, with no word on a worldwide release. Why this matters: This could be one of those gadgets that never sees a global launch, although the idea is not unique. The Sengled Pulse combines an LED bulb with a JBL speaker and is already available online. Still, it's a neat idea that Sony and other companies can improve over time, as it could become a central fixture (oh yes, that was intended) in smart homes.